Columbus Financial & Success Coach: Why we are paying so much for internet service? I started the Columbus Financial Coach back in in late 2011 and saw the future of the media players. Back when it was and a few other media player devices. Now, today they will replace the cable company hold on our society. Right now we have the Amazon fire stick, Android devices, Google chromecast, and Roku are king and cable is a dying breed. So, what does the cable company do to save its own hide? They overcharge us for the internet access to otherwise cheap media. So what can consumers do to fight back? I feel a fair price for internet would be $40 to $60 per month, but these cable companies are charging people as high as $100 per month. I am not talking about the cheap introductory specials. What can we do? What can we do is share your access with your neighbors or community. Have an internet co-op program and pay a smaller monthly fee. Often without buying special equipment, pick up your neighbor's WIFI signal. And if you need to buy a special equipment. They have long range routers that that can broadcast more channels so you can have more users on at the same time. The long range routers and external high gain antennas for routers that can increase your range. Even can buy a long-range USB WIFI adapter with high gain antennas attached. Another solution would be using a WIFI extender that acts like the repeater that picks up the signal rebroadcasts WIFI signal. 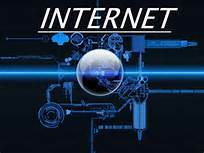 The Internet is the gateway to the web, entertainment, and telephone services, so don't be taken advantage by the cable company. If the cable company wants to overcharge you go and out think the cable company.